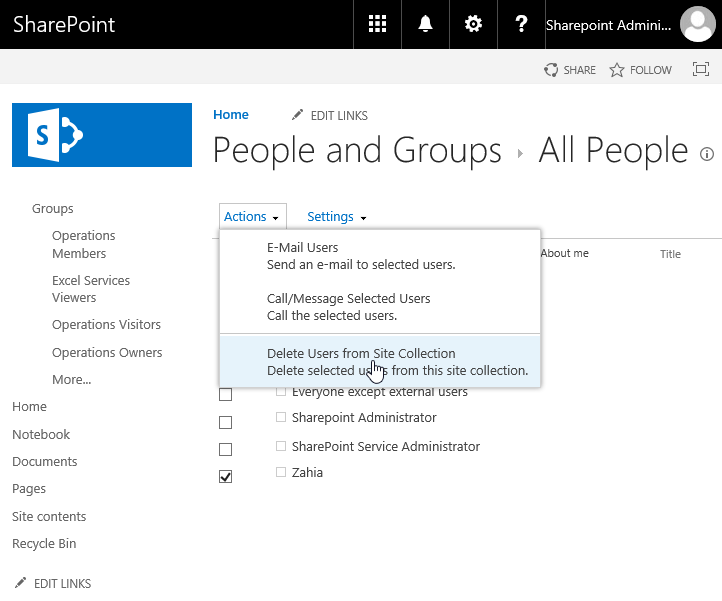 How to Delete user from site collection in SharePoint Online? Confirm the prompt to remove user from site collection. This deletes the user from entire site collection, including from all groups where the particular user was member of! Here is the CSOM PowerShell script to delete user from site. It helped..!! Thank you so much..!! 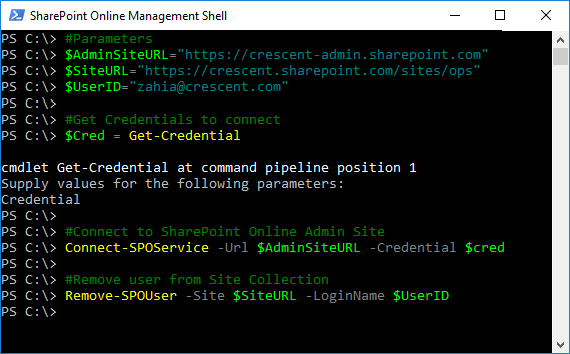 How to Add a New User Group in SharePoint 2016?